As a fifth grade teacher, I was excited and hopped on the bandwagon of the Daily 5 in 2010. I loved the structure, loved the purposeful activities, and loved how it seemed that my students were engaged from the get go. But as the first few weeks of establishing routines, and building stamina came to a close, I noticed that not all of my fifth graders were engaged or using their time wisely with all the choices. I knew right away that changes had to be made. When looking at The Daily 5, I analyzed what choices seemed to be the most troublesome as far as classroom management. "Read to Someone" came right to the forefront of my list. Yes, "I" charts were made, routines were established, and stamina was practiced. But as soon as I started my guided reading groups at the back table, read to someone became an issue. I could see that students were not always fully engaged with their reading partner, and I sometimes had to interrupt my group to remind the students what their job was during this time. It became clear to me that this choice would be abandoned in my fifth grade classroom. They just didn't need to read aloud to each other anymore. The second Daily 5 choice that I eliminated was "Listen to Reading." This choice involves having devices in the classroom that students can use to listen to literature. My first dilemma was that I did not have anything to start with. I had to get a radio that had a tape player, then find tapes to go along with books. Once I had that set up, only one student could use it at a time. My school district purchased a device that would allow four students to listen to literature at the same time, but this became a management issue as well as I could see students not using their time wisely sitting next to each other. This was my second Daily 5 choice that went by the wayside. I was left with three choices: "Read to Self," "Word Work," and "Work on Writing." These became the foundation for my Daily 3 rotations during the school year. Below are some helpful tips and ideas that I have used to implement these three components in my classroom. This option is the most important one to me. This is a chance for my students to read books of their choice independently and to practice fluency and comprehension. This is a must choice every day for my students. The only requirement I have is I would like them to read from a variety of genres throughout the school year. They keep track of the books and genres they have read on a simple log in their reading notebooks. We have a free chart that you can download here. It is easy to get the students excited about books for read to self, either from my personal classroom library, or books they could check out in the school's library. 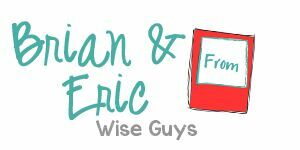 I do book talks and even sometime show book trailers that you can find online. Click here for one such website that has numerous titles. This gets them fired up to read! Word work has evolved quite a bit in my classroom. What started out as daily task cards has turned into a weekly word study. On Monday students are given a set of words based on a spelling pattern at their level. They are to determine what pattern(s) the words can be classified into. On the next day, they write down those words onto paper based on the categories they discovered. The third day is dedicated to sorting the words once again and using them in meaningful sentences. The sentences have to have at least five words and cannot begin with "I." The fourth day is two-fold. Students once again sort their words, but then they write them in cursive. You may hear moans and groans, but the practice of sorting and writing them in cursive will help them remember. The fifth day is always quiz day. You can match up partners from different lists and have them write their sorts on paper to be handed in. I can then check the papers and if there are any students that struggled with the sort, I can meet with them and see what issues they were having. This option basically ran itself after I got it up and running in my classroom. The number one goal of work on writing is for students to continue to work on the piece that they were doing during writing class. However, there are times that students are either done or that there was no assignment. During these times, I love for students to have the freedom to write about what they want. 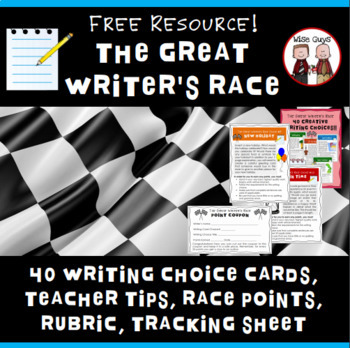 To give them a little guidance, I created 40 engaging writing choices that my students could pick from. They loved the variety, and it made writing time during Daily 3 more exciting for them. You can download the writing choices for free here. 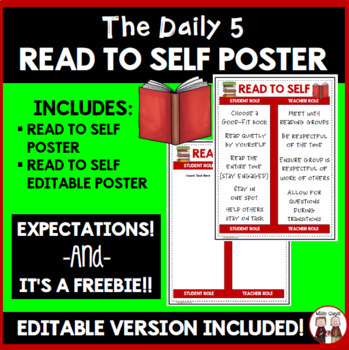 If you would like 15 FREE Daily 5 Resources (that does include read to someone and listen to reading), you can access them by clicking here or on the image below! Here is to a successful Daily 3 schedule in your upper elementary classroom!